William Craig Reed served as a U.S. Navy diver, submarine fire control "weapons" technician and photographer for special operations on nuclear fast-attack submarines. Reed earned commendations for completing secret missions during the Cold War and is an alumnus or member of several military, veteran, and technology associations. Reed is currently a partner in Aventi Group -- a technology marketing consulting firm (www.aventigroup.com) with a client list that includes Apple, Booz Allen Hamilton, Computer Associates, Cisco, Hewlett-Packard, Intel, Microsoft, SAP, Qualcomm, and others. Reed was a former vice president and board director for the Silicon Valley American Marketing Association and founded two software companies. A sought after speaker, Reed speaks at numerous technology industry events including SWC, DP Summit, and Storage Decisions. 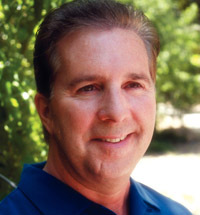 He speaks at national conferences, associations, and for corporations including Hewlett Packard, Forsythe, and Abrevity, Inc.
Reed is the author of the thriller DNA and the non-fiction thriller Red November: Inside the U.S. - Soviet Submarine War (William Morrow). In 1991, after more than 40 years of tensions bordering on nuclear combat, the Cold War between the Soviet Union and the United States came to an end. With over $8 trillion taxpayer dollars spent and the loss of more than 100,000 American lives, the Cold War stands as one of the longest and costliest in U.S. history. Red November throws back the curtain on the underwater conflict that brought the world to the brink of nuclear warfare and back again numerous times over the course of 40 years. Through interviews with people who were there, in-depth research, and first-hand experience -- he served on two submarines from 1975-1981 and his father was one of the chief designers of Soviet sub-detecting technologies -- Reed sheds new light on a side of the Cold War many at the time did not even know existed. From the espionage missions of the Holystone program to underwater collisions between U.S. and Soviet subs, from stolen communication devices to the untold story of the Boresight project -- a radical top-secret technology devised to detect the Soviet's advanced use of burst radio transmissions -- this book goes where no other has gone in exploring one of the most thrilling and frightening arenas of U.S. military history. Reed is also the co-author of Tarzan, My Father with the late Johnny Weissmuller, Jr.
Born into a Navy family on the island of Guam, Reed lives in Silicon Valley, CA. "This history of the cold war beneath the sea reads very much like a thriller.... For serious submarine buffs, a feast." "If Tom Clancy had turned The Hunt for Red October into a nonfiction thriller, W. Craig Reed's Red November might be the result. 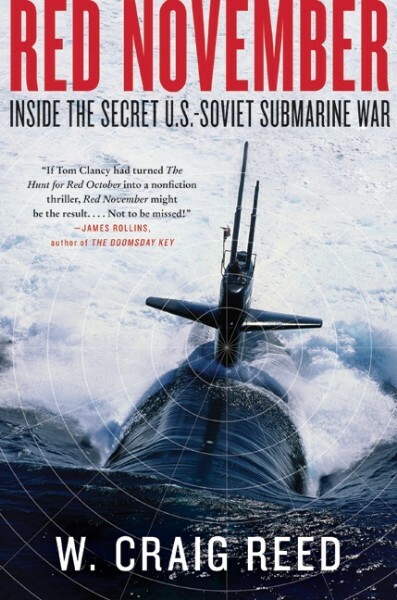 Here is the full-throttle and riveting story of espionage, secret missions, and the never-before-told tales of submariners on the front lines of a clandestine war. Not to be missed!" "Red November delivers the real life feel and fears of submariners who risked their lives to keep the peace. Smart, detailed, and highly entertaining, this is a story everyone should read. I live in a submarine town and I can tell you, men who live underwater for 90 days at time, ferrying nuclear weapons, are unsung heroes. My hat is off to Craig Reed for telling their story." "Red November is a terrific, real-life thriller, filled with larger than life warriors, technological wizardry, undersea games of chicken, and a civilian world perched unknowing on the brink of push-button nuclear destruction. History buffs, naval warfare enthusiasts, and all Tom Clancy fans are guaranteed to love this book." "Red November is palpably gripping and packs the excitement of a real-life thriller. I felt like I was literally on-board a submarine in the middle of a hair-raising mission and on the brink of World War III." "Red November is a compelling narrative that covers most of the years that I rode the boats. The action in the book is particularly intriguing, as I shared many of the same experiences endured by the characters portrayed within the pages. Submariners will enjoy the book, as did I." "Red November is one of the most suspenseful and frightening books I've read this year. It gives you a new appreciation for the major role submarines play in shaping world history. They may be out of sight, but after reading this book, they will never again be out of mind."